By all accounts, Brian Goodwin (‘12-’13, ’15) has been a different hitter this winter. The outfielder slashed .316/.401/.459 in 35 games for the Bravos de Margarita in the Venezuelan Winter League this off-season. Perhaps more impressive, though, for Goodwin was the 19 walks he drew in 152 plate appearances. Those 19 base on balls were the same number he drew in all of the Senators’ games after the All-Star break. Quincy Latimore (’14) won’t forget 2015 anytime soon. The 26-year-old destroyed baseballs all over the Eastern League and the Mexican Pacific League. Latimore led both leagues in extra-base hits and slugged a combined 30 home runs. The outfielder was the big run producer for his Mayos de Navojoa team as he drove in 45 runs in 68 games. After two years out of the game, Jesus Valdez (’10-’12) tore up the Mexican League last season. 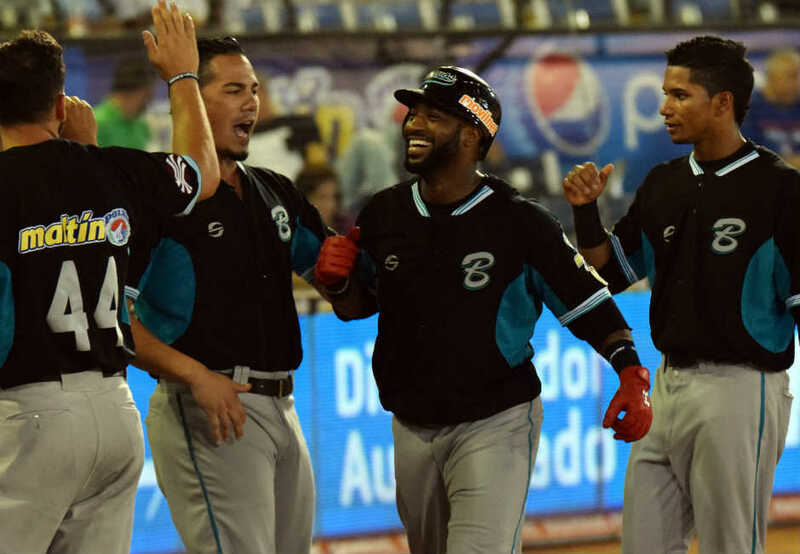 He didn’t slow down during his stint in winter ball either as the outfielder led the league with a .347 batting average while slugging .495 with the Charros de Jalisco. Jose Lozada (’12-’15) loves him some home cooking as the native Puerto Rican batted .311 and got on base at a .403 clip in 37 games for Cangrejeros de Santurce on his home island. The utility player signed another one-year deal with the Nationals and will enter his ninth straight professional season with the Washington organization in 2016. Age is apparently just a number for Frank Diaz (’06-’07). The 32-year old has been averaging a .342/.405/.546 slash line over the last three seasons and Diaz just kept hitting in the Venezuelan Winter League. The outfielder hit .346 and even more impressive .579 against southpaws for his first-place Navegantes del Magallanes squad. This entry was posted in Uncategorized and tagged Brian Goodwin, Frank Diaz, Harrisburg Senators, Jesus Valdez, Jose Lozada, Quincy Latimore. Bookmark the permalink.